Spanish motorcycle manufacturer, Bultaco, which was originally establised in 1958 by Francisco 'Paco' Bulto, and which was shut down in 1983, will soon start manufacturing motorcycles again. Bultaco Motors is being revived by a group of five men - Gerald Pollmann (Chairman and co-founder), Juan Manuel Vinos (CEO and co-founder), Jorge Bonilla (Secretary General and co-founder), Jose German Perez (R&D Manager and co-founder) and Paul Perez (Head of Prototypes and co-founder). "Bultaco’s values today are the same as when it was founded - innovation, passion and competition. The first [new] models will have an advanced electrical propulsion system. The product range is envisioned for people who appreciate the sensations of a motorcycle and who are seeking a new kind of mobility," says a press release from the Company, which will have its manufacturing facility in Barcelona and an innovation centre in Madrid. The revived Bultaco will, according to its co-founders, offer motorcycles that feature "advanced technological solutions" and "disruptive technology," so you can expect to see the use of hybrid/electrical powertrains and ultra-light materials. 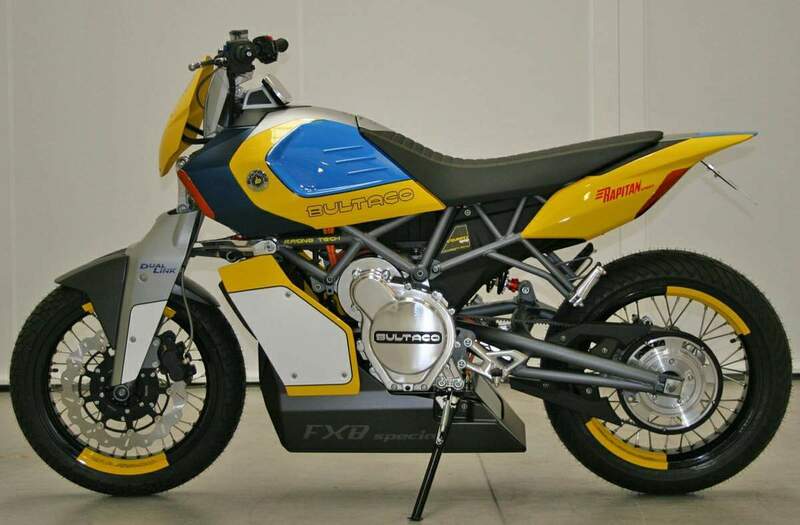 The Bultaco Rapitan and Bultaco Rapitan Sport prototype feature lithium-ion battery packs and advanced electric motors instead of the conventional internal-combustion engine. The bikes are expected to go into production in 2015. "What began as a thesis project has become a company with the capacity and stability needed to create a new generation of Bultaco motorcycles," says Juan Manuel Vinós, CEO and co-founder. "We were not looking for a prestigious name to a promising project; it was something different. Bultaco’s hallmarks from the start, namely its spirit of constant striving, its technological innovation and its passion for motorcycles, are the same hallmarks we have today. These are timeless values," he adds. 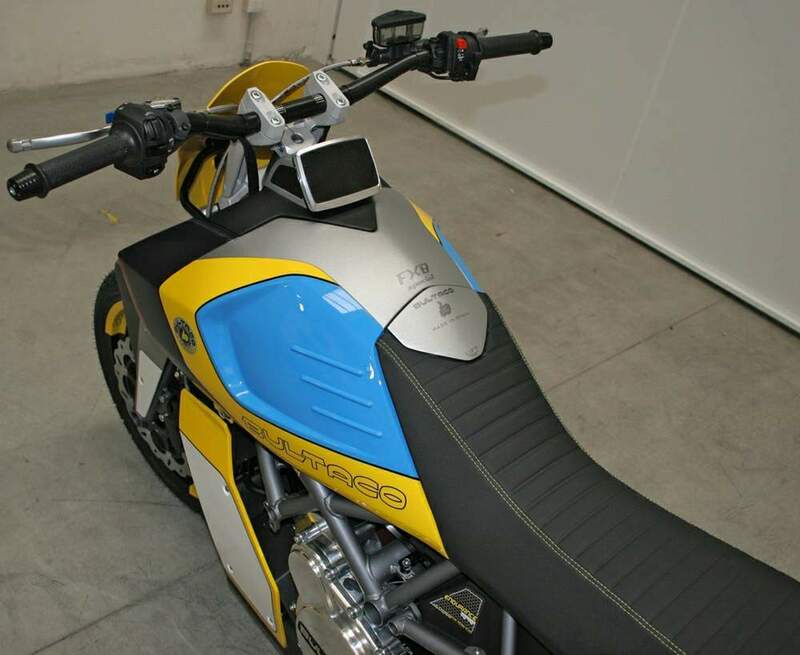 "Judging from my experience, we have a team that is capable to all aspects of the project: the technology, the design, the industrialisation and the sales," says Gerald Pöl lmann, Chairman and co-founder of the revived Bultaco Motors, which will soon set up its sales network in Spain, the United States, the United Kingdom, Germany and France. The project is said to have the full support of the Bultaco family. Underneath the Rapitan’s edgy exterior is an electrical powertrain system that the Bultaco gents say they developed themselves. It is good for 53hp and 92 lbs-ft of torque, thus the Bultaco Rapitan isn’t going to blow away the competition with power, but should make for a decent and unique riding experience. The Spanish firm isn’t saying how many batteries are on-board, but claims 125 miles of city riding, and 68 miles of highway riding at 75 mph. Tipping the scales at 416 lbs (189kg), the Bultaco Rapitan isn’t the lightest street-naked on the market, but it certainly isn’t the heaviest either. With 92 lbs-ft of torque, we suspect this should make for a peppy ride.